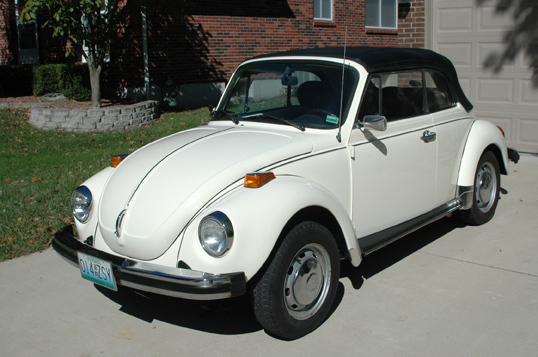 I am selling this Very Nice 1977 Super Beetle Convertible for a friend who purchased this Classic VW in 1997 and was the third owner of the car. During that time, the car received a same color re-spray to freshen up it’s appearance. My friend drove this car only occasionally over the last dozen years, it spent the majority of its time parked in his garage. The car has 58,801 original miles and the car is mechanically stock and unaltered. The cream color paint job is very nice and there is no evidence of rust problems. I checked the floorboards and rockers (from above) and found them all to be solid. The car runs and drives nicely. It drips a bit of oil when parked (they all do). 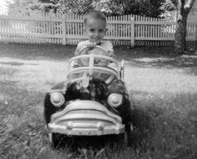 The convertible top is in nice condition, the only flaw being a 1″ tear on the passenger side. There are also some special extras included with this car. The owner says $7,500 takes it.